Marriage researchers have found 4 behaviors that almost always end up being signs leading to divorce or break-up (or a very unhappy relationship) when present in your relationship. Called the 4 Horsemen of the Apocalypse, these 4 characteristics are toxic behavior in relationships and must be changed if you are to have a positive, loving, and lasting relationship. Dr. Gottman is a well known and respected marriage researcher who identified these toxic behaviors and is able to predict the outcome of a relationship with over 90% accuracy just by observing a couple for 30 minutes while having an argument. If these toxic behaviors (which he calls The 4 Horsemen of The Apocalypse) are present, Gottman predicts the odds are not in your favor. Let’s first start by defining, what is toxic behavior? Toxic behavior is any behavior that leads to a breakdown in the relationship communication. When toxic behaviors are present, it makes it close to impossible to resolve any sort of argument because the toxic behavior escalates the argument to the point where it is no longer a productive conversation. Many people report feeling trapped in a bad marriage when toxic behaviors are present in their relationship. They report fighting about the same things over and over again with no resolution. You can imagine that if your arguments always escalate to the point where they are unable to be resolved, this takes a major toll on your relationship over time. OK, now that we have defined toxic behavior in relationships, let’s talk about the behaviors more specifically, and, of course, how to change toxic behavior. If you or your partner are displaying any or all of these behaviors, it’s important that you make a commitment to first become more aware of the behavior and second to change the toxic behavior as soon as possible. Now before you freak out thinking “so I can’t even communicate when I’m unhappy?” let me reassure you it’s ok to tell your partner about things you would like them to change in a respectful and productive manner. However, criticism is a different (and harmful) habit. Criticism is attacking your partner’s personality or character, usually with the intent of making them feel wrong. Criticism tends to me more of a toxic female behavior than male behavior but that doesn’t make men exempt by any means. Make sure to rephrase those critiques on your partner’s character to be kinder, gentler and more about the behavior than the person’s character. The Antidote: Try following this formula – “I feel X when Y happens and I would prefer Z.” This is the formula for a softened startup and sounds very different from a harsh startup which is sure to make your partner feel defensive. Let me illuminate with another example. You come home after a long day of work, walk into the kitchen, and see that the dishes are piled up in the sink. You specifically remember doing the dishes before you left this morning and you are immediately stressed out seeing the mess. Your first instinct may be to find your boyfriend and say “ugh you are so inconsiderate! You always leave the dishes for me to do which is ridiculous because I work just as much as you. You never help out around the house and I can’t stand how lazy you are!” While the anger may be totally justified and your points are valid, you are going to have a very defensive boyfriend on your hands if you approach him like that. Though I know it takes much more restraint, using a softened startup will actually get you better results than yelling and using verbal insults. So, let’s try that again with a softer approach using the XYZ formula. You walk into the room where your boyfriend is and say “hey babe, I couldn’t help but notice the dishes piled up in the sink. I have shared with you before that I really like to come home to a clean kitchen. I feel stressed out when I walk in the door and the first thing I see is dirty dishes. I would really prefer it if you could please put your dishes in the dishwasher as soon as you are finished rather than leaving them out. Is that possible? 2. Defensiveness: Why Am I So Defensive With My Boyfriend and Why Does My Boyfriend Get So Defensive? Ladies, if you have a defensive boyfriend, you may be triggering defensiveness with criticism, though, it’s important to acknowledge, that is not always the case. First let’s define defensiveness. Being defensive involves avoiding responsibility for your part in the argument. Someone who is defensive sees him or herself as a victim and is more focused on warding off a perceived attack than resolving an argument. He will often make excuses to prove he was not at fault, blaming his partner or outside circumstances for his behavior. He may engage in cross-complaining meaning he meets his partner’s complaint with another complaint of his own, thus ignoring or invalidating his partner’s complaint. The Antidote: It takes two to argue and there is always, ALWAYS something you can take responsibility for in any situation even if it’s just saying “I didn’t realize my words or behavior would impact you in that way. I’m sorry that I hurt you. That was not my intention.” Notice there was no “I’m right and you’re wrong.” Taking responsibility doesn’t have to mean you are conceding your point. Also notice how different that is than the commonly delivered half hearted apology “I’m sorry you feel that way.” That apology is putting the blame on your partner for feeling the way he/she does rather than taking responsibility for triggering the feeling. Rather than thinking of how you are going to win an argument and prove your partner wrong, ask yourself what is your ultimate goal? Is your goal to be happy or to be right? Would you rather resolve the situation and go back to having a harmonious relationship or prove to your partner that you were right and she was wrong? Try listening to your partner and empathizing with their point of view before responding with your own point of view. Taking responsibility for some portion of the argument will immediately make your partner less defensive and more likely to want to compromise or give in entirely. The quickest way to getting what you want is remain humble, express how you feel, validate your partner’s feelings and ask for forgiveness or a compromise. A technique many couples find helpful in improving their communication is the Imago Dialogue. The Imago Dialogue is a structured way of speaking and listening to each other so that each person feels heard and understood. Remember, this is a partnership between you too and it’s important to strengthen your relationship with eachother. Stonewalling tends to be a toxic behavior more typical of men than women. Stonewalling is defined as withdrawing from the conversation or even the relationship as a way to avoid conflict. This may look like a husband staring at his wife as she talks but not making any indication that he hears her or that she is even there. He might walk away without acknowledging that he needs a break from the conversation or simply start looking at his phone and tuning out what she has to say. Partners engaging in stonewalling may think they are being neutral and avoiding making a situation worse by saying something that will upset their partner but stonewalling actually conveys disapproval, icy distance, separation, disconnection, and/or smugness. Women report it to be incredibly anxiety provoking when their husband is emotionally unavailable. Stonewalling usually comes from a place of being flooded or emotionally overwhelmed. When we are flooded, we essentially go into fight or flight mode and our brain isn’t able to function appropriately. Humans have 3 reactions when they feel like they are in danger; fight, flight, or freeze. Stonewallers tend to freeze. Dr. Gottman’s research shows that when your heart rate goes above about 85-95 beats per minute, you are flooded and are not able to think as effectively. The Antidote: In the case of emotional shutdown or flooding, taking a structured timeout is more productive than continuing the conversation and trying to push through the overwhelm. If you determine you need a break from the conversation, I recommend using the structured timeout process. Let your partner know that you are feeling overwhelmed and would like to talk about this when you are both in a better state of mind. Then give a time between 20 minutes and 24 hours when you will return to complete the conversation once you have both had a chance to calm down and think things through rationally. This way, you both know the issue will be addressed and you can take time to calm down knowing you have a plan to come back to the conversation. When it is time to come back to the conversation, the partner that requested the break should be the one re-initiating the conversation so that asking for a break is not viewed as an escape from having to deal with issues in the relationship. To learn more about flooding and using the structured time-out procedure, check out this video blog I created. Contempt conveys a sense of superiority and often makes the recipient feel stupid or less than the person displaying contempt. Rolling your eyes at your partner or making sarcastic comments to mock your partner are classic displays of contempt. Other signs of contempt include insults, name-calling, hostile humor (usually at the expense of your partner), using a condescending tone of voice, and sneering. We wrote an article talled The Forbidden Five: Five Of The Worst Things To Say To Your Partner if you would like to learn more. Contempt is the most damaging of the toxic behaviors in relationships because it destroys the fondness and admiration between a couple. Contempt has even been linked to illness…the more contempt a person experiences from their significant other, the more likely they are to get sick! So think twice before you marry that sarcastic boyfriend. The Antidote: BE POLITE, KIND AND LOVING! We have a tendency to forget all manners when talking to the ones we love and treat them in ways we would never treat a co-worker or stranger. This is because we have a different level of comfort with loved ones and they also have the ability to trigger us in ways that strangers cannot. That being said, if anyone deserves respect and polite treatment, it is your loved ones. Speak to your partner the way you would speak to your boss. Be polite and respectful, choose your words wisely, say things in a way that leads to them feeling safe to open up rather than feeling attacked and defensive. In short, act like the most important relationship in your life depends on the way you speak to your partner because, well, it does. Ok, these are definitely present in my relationship. Is it doomed?! If you read this article and had a moment of panic as you realized you and/or your partner does one or all of these, don’t worry, not all is lost. It’s possible to change your habits now that you are aware of how detrimental they actually are to the health and future success of your relationship. Make a commitment to change these toxic behaviors and replace them with more adaptive ways of arguing and communicating. Start first by catching yourself in the behavior and acknowledge that you are doing it. Find a way that your partner can point out if he/she notices you engaging in any of the 4 Horsemen and give him/her permission to tell you in a loving and helpful way. Work on the phrasing of how you would like to receive this feedback with your partner so that you do not become defensive when you hear it. 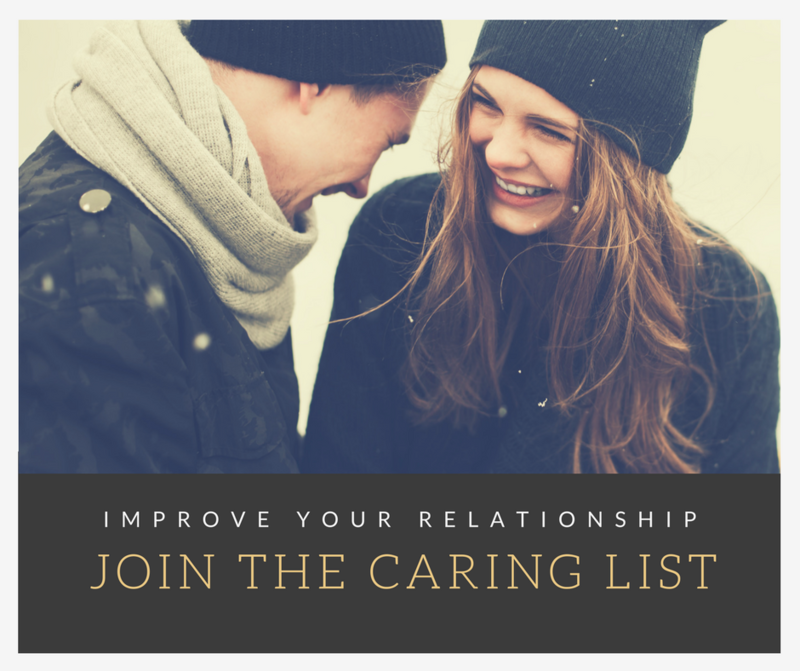 As you become more aware of the presence of these behaviors, brainstorm with your partner (and if need be a couples therapist) on alternative ways to express yourself that are less detrimental to the relationship. 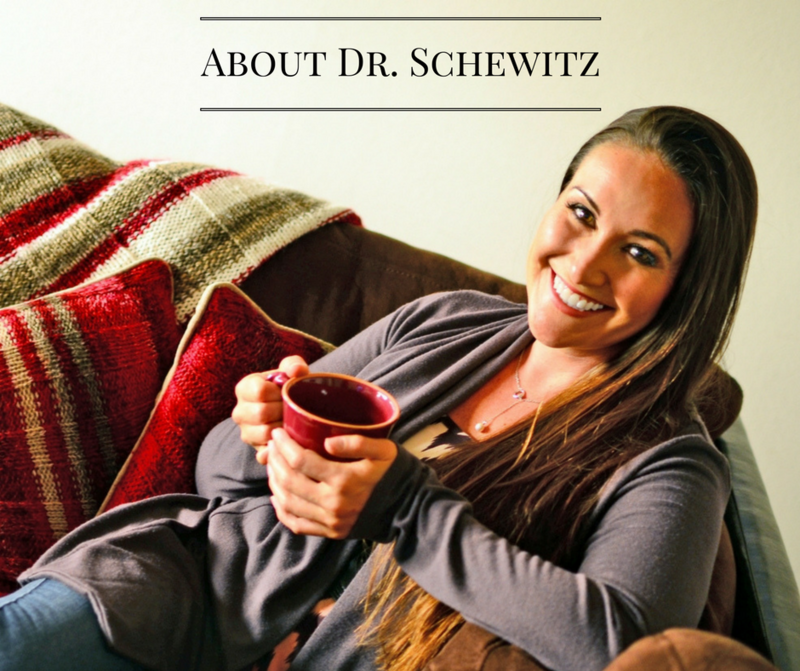 To get in depth help changing these toxic behaviors in relationships and more, click to schedule a no cost 30 minute consultation with Dr. Schewitz. This increased awareness and commitment to eliminating the 4 Horsemen of the Apocalypse from your relationship can make the difference between ending up “happily ever after” or feeling trapped in a bad marriage. Did you find this article helpful? I bet your friends would too! Click below to share this post on social media.